Welcome to this wonderful ground floor 1100 sq. ft. 2 bedroom, 2 bath condo at On Top Of The World. 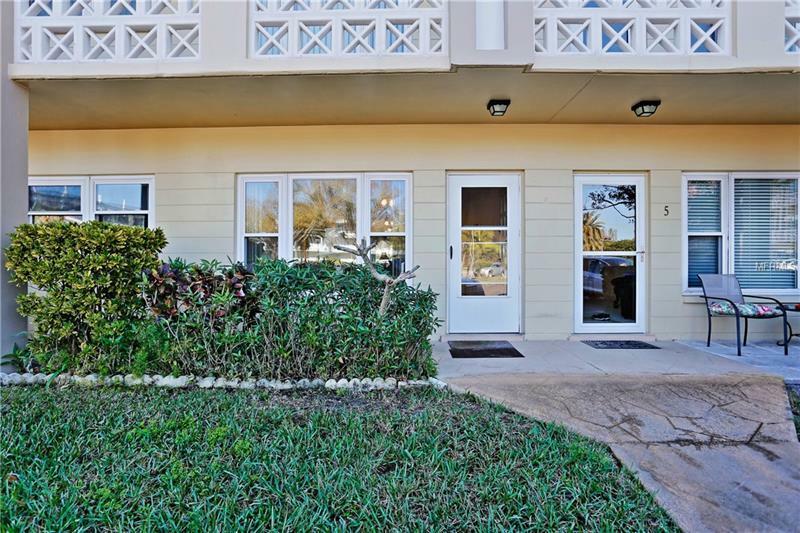 The condo features newer hurricane rated windows throughout with a lifetime warranty, New Trane A/C with a 10 year transferable warranty, and a washer/dryer inside the unit. The spacious floor plan is sure to please with the combination living room /dining room and a kitchen that opens to the family room which allows for plenty of space to spread out. The large master bedroom has ample closet space. Tile flooring in living room, kitchen and family room. You will find a front and back patio for your outdoor enjoyment. This move in ready ground floor condo is priced right and ready for you make it your own. Furnishings will be left for the convenience of the seller / buyer or will be removed upon buyers request. The community features many amenities such as 2 golf courses one 18 hole and one 9 hole that are free for owners use, 2 pools, one is heated, a spa, cardio gym with all the latest equipment, a computer room, dog park, walking path, activity centers, woodworking shop and more. Regular social events such as dancing, shows, billiards, activity clubs and entertainment. Transportation is available to select locations. The low monthly maintenance fees include building exterior, roof, reserve funds, insurance, water/sewer, grounds maintenance, cable, security, trash removal, pool and tennis court maintenance. Located close to all shopping, theaters, air ports. This unit is a must see.